Left to Right: Geetha Manjunath, the CEO and Nidhi Mathur, the COO of Niramai. Niramai provides a software solution for breast cancer screening based on artificial intelligence led diagnostic platform that uses thermal image processing and machine learning algorithms. June 2018. Photograph by Nishant Ratnakar. Breast cancer is a disease that has been detected worldwide. Throughout different regions, there have been causes that are identified as the common underlying ones for breast cancer and there are other causes that seem to only be unique to certain geographies. But there are a few more pressing statistics when it comes to breast cancer in India. There has been a steady increase in the incidences of breast cancer among younger age groups in the country. The overall numbers of breast cancer cases have been rising amongst all age groups. Cancer in younger age groups is extremely aggressive and potent. Breast cancer is the most common type of cancer in urban areas in India and the second most common type in rural areas. There is an overall lack of cancer awareness which then gives rise to cases which are screened very late. A lot of the problems with respect to cancer can be solved only if there are early awareness and detection. Along with this, surprisingly, the cancer is extremely easy to self detect. Now, even though the detection and quick control of the disease is a solution, one out of every 2 women succumb to breast cancer in the country. Along with this only 3 per cent of women go in for regular breast health check-ups. Looking at this grave situation, 2 women, Geetha Manjunath and Nidhi Mathur cofounded Niramai- a ‘Non-Invasive Risk Assessment with Machine Intelligence’ solution to detect breast cancer early and stop it in its tracks. 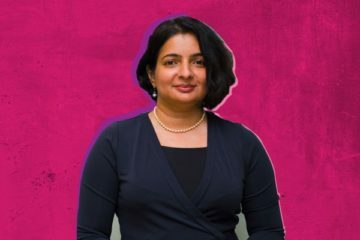 Geetha Manjunath in 2013 was working with a multinational tech company to find a way to maximize the use of artificial intelligence in healthcare. Here is where she learnt about how thermal imaging was helpful in detecting cases on breast cancer during a project for research. “We started experimenting with breast thermography as an exploratory project. Initially, we used just image processing algorithms for identifying the tumour’s location. Later, we thought why not use AI to identify benign and malignant tumours?” recalls Manjunath to Forbes. Between 2013 and 2015 she and her team expanded operations in the breast cancer detection sector when the eventually hit gold. The figured out a completely sure but non-intrusive way to detect breast cancer and locate the tumour too. The project needed to scale and solutions for further diagnosis needed to be brought in too. Soon this multinational company she was working for was hitting a financial rut and Manjunath knew that her pet project would succumb to this. Thus she got her colleague Nidhi Mathur along and two other colleagues- Himanshu Madhu and Siva Teja and they ventured into Niramai independently. “We had reached a fairly good level of accuracy in a research lab setting. We saw a lot of value in this project. So, instead of shutting it down, I thought, why not create a startup and provide the solution to women who need it,” says Manjunath. Niramai s a safe, non-touch, radiation-free, and low-cost service with portable equipment to detect breast cancer preferably in its early stages. The way it does this is by using artificial intelligence. 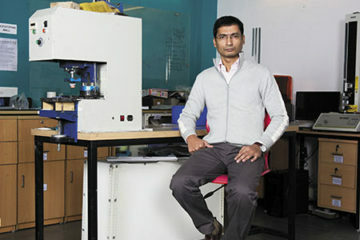 Niramai uses a device that scans the breasts like a camera with thermal imaging. It then uses cloud-based software to analyze those images. Thus AI and machine learning go side by side where AI scans the patient and the machine analyzes what is going on. A more traditional method to detect the cancer is by mammography which exposes the patient to X-rays, radiations and is an invasive procedure which is not the best for a potential patient. Niramai, on the other hand, makes the detection of breast cancer extremely accessible and portable in all areas and strata. Even in those regions where affordable healthcare otherwise is very rare. “Our method of breast cancer screening can detect tumours five times smaller than what clinical examination can detect. With our solution, women of all age groups can undergo frequent screening without any side-effects,” says Nidhi. Artificial Intelligence is at the heart of Niramai. “We mark the area of potential malignancy based on an analysis of temperature distribution in the chest. We [also] take demographic information like age and history of cancer in the family etc under consideration. Reading images accurately to distinguish a normal thermal activity from an abnormal one is a computer vision problem. That is where the AI comes in because it can do pattern-based recognition.” explains Manjunath. 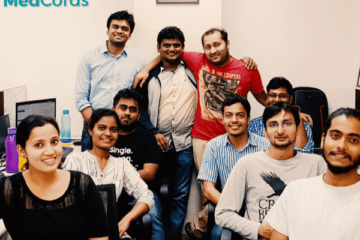 Niramai so far has had three funding rounds. There have been two seed rounds and one non-equity assistance round. The first seed round was conducted in April 217 followed by the non-equity assistance round in November 2017. 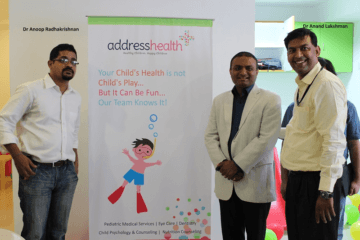 The latest round which was a seed round was conducted in November 2018. In total the three rounds have gotten Niramai $6.1 million USD over 2 years. Investors in the company include Pi Ventures, Axilor Ventures, Ankur Capital, Binny Bansal, Google Launchpad Accelerator, and 500 startups. “They are solving a real problem in a unique way. 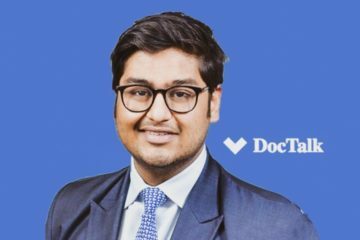 Today, only the rich can afford to pay for quality healthcare and if technology can make that quality care accessible to everyone, then that is the best thing,” says Manish Singhal from Pi Ventures. There is an industry worth $30 billion waiting in health tech especially for companies like Niramai that provides an essential solution. 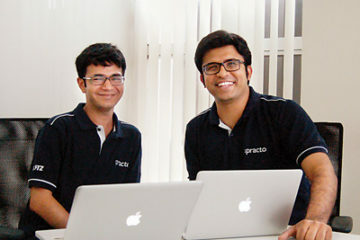 It is driving startups and investors to put in more time and effort and in turn, drive the industry forward. As much as the general population has to gain from services such as Niramai, companies like Niramai also have a lot to gain from this industry.